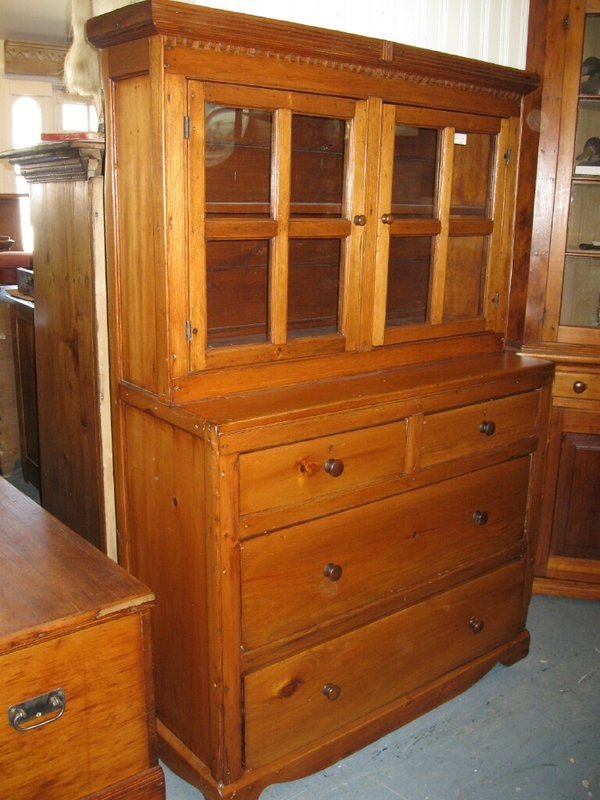 Very nice petite size step back cupboard out of Eastern Ontario. With glass top and drawers below, it will make for great storage. Circa 1870. It measures 43 inches wide by 17 deep by 65 inches tall.